This last year has been a whirlwind. I am wrapping up my second year on the tenure-track with some successes and some failures. For today, I am focusing on the successes! Between May 2017 and April 2018, I published three co-edited books. Each of the books is very different. Two are academic books and the other a collection of essays, poetry, and personal narratives. Two of the books focus on urban and community-based issues and the other on feminist approaches to teaching and learning. All of the books, to some extent, focus on power and oppression. 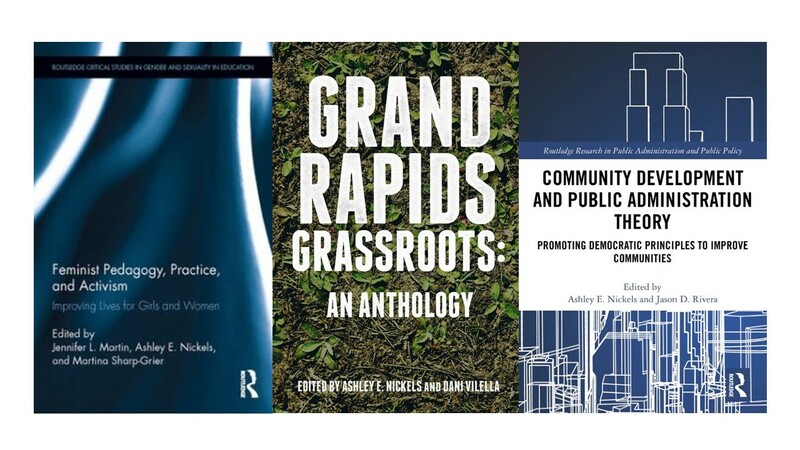 And, all three of the books explore the ways in which individuals and organizations navigate and/ or respond to structures of inequality, paying close attention to strategies for creating social change.